Welcome to another blog post on mental health and carers. 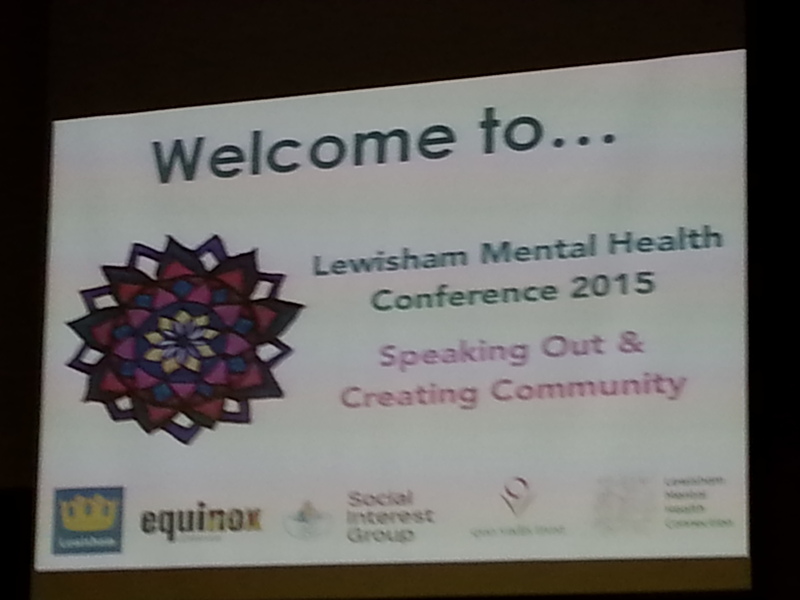 This blog post is on the Lewisham Mental Health Connection conference for 2015. The Lewisham Mental Health Connection or LMHC for short stands to put mental health awareness on the map in Lewisham. It is not to say that other organisations do not do enough to raise mental health awareness and combat mental health issues, but with the LMHC the power is in the connections where organisations, groups and individuals work together to make a change in the community. This entry was posted in Event reviews and tagged Lewisham, lewisham mental health connection, mental health, mental health conference on September 18, 2015 by mmckenz11. Sorry I have not blogged for a while since as with many mental health carers, I am currently caring in crisis. It can be so difficult, but when a loved one has to be placed in a mental health unit, then other things need to be placed on hold. As of this blog post, I am one of those mental health carers trying to keep things stable while recovery for my loved one is vital. This entry was posted in Thoughts about Caring and tagged carers, mental health, suicide, suicide prevention, world suicide prevention day on September 10, 2015 by mmckenz11.